The Soccer Parenting Association is excited to announce a groundbreaking partnership with the Twin Cities Soccer Leagues, our first ever with a soccer league. 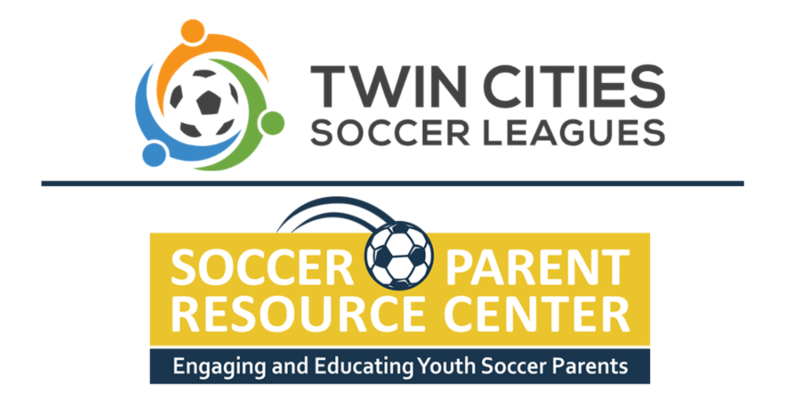 This partnership makes club culture, parent education and improved club-coach-parent relationships a priority for Twin Cities Soccer Leagues (TCSL), serving over 20,000 youth players and 30 clubs in the greater Minneapolis area. TCSL, along with support from US Club Soccer, is providing each soccer club in their league with the opportunity, at no cost to the club, to become a Soccer Parenting Club Member - thereby providing access to the SoccerParentResourceCenter.com to all the families, coaches and club administrators affiliated with their league. The Soccer Parent Resource Center (SoccerParentResourceCenter.com) is a youth soccer parent education platform created by Soccer Parenting. The website platform uniquely serves the youth soccer community with education for soccer parents in the form of articles, video interviews, courses for parents, ebooks, and a community forum. It provides parents with the essential information the need to ensure their child is inspired by their soccer experience. Topics include the mind, body, game, next level, club-coach relationships, and parenting. More information about the SoccerParentResourceCenter.com can be found HERE. The commitment TCSL is making towards improving the experience of players, parents, coaches and referees is commendable. They are the first league in the United States to partner with the Soccer Parenting Association and are setting the standard when it comes to establishing a strong, empowering and inspiring soccer culture for their membership. said Matt Tiano, CEO of Twin Cities Soccer Leagues. At Soccer Parenting, we believe parents will be difference makers when it comes to improving player development and the overall experience for players. Parent Engagement practices and policies are receiving increased support and attention by clubs or organizations. The Aspen Institutes Sport and Society Program will be focusing heavily on Parent Engagement in the coming year, driving a national conversation around this essential topic. The results of the Soccer Parenting – Twin Cities Soccer Leagues partnership will be improved club culture, an increase in parent engagement, more satisfied players, coaches, parents and referees, plus ultimately – players who continue to feel inspired about the game, thereby forming healthy habits they will take with them into a healthy adulthood.